Sweet cherry and candy floss nose. 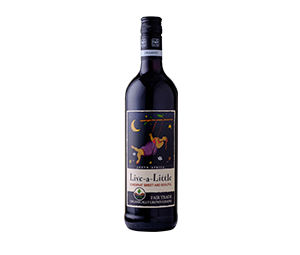 This juicy red semi-sweet wine impresses with red fruits on the palate and a soft smooth finish. Categories: Live a Little, Namibia, United States of America. Serve chilled with fresh fruit and cheese or try at ambient temperature with Indian and sweet-spicy foods like Cape Malay lamb curry and Bobotie (spiced mince dish).